Mine: Wonderful, funny, touching. Great permance by Russell. Painted with broad stroaks, but it works. 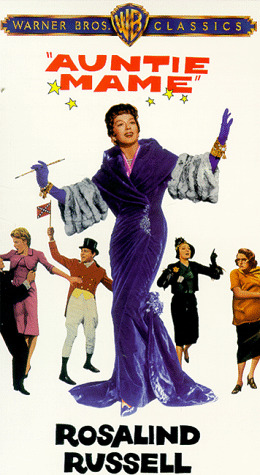 Leonard Maltin/Plot synopsis: Colorful film version of Patrick Dennis' novel about his eccentric aunt, who believes that ``life is a banquet, and most poor suckers are starving to death. '' Episodic but highly entertaining, sparked by Russell's tour-de-force performance. Betty Comden-Adolph Green script was adapted from the Jerome Lawrence-Robert E. Lee Broadway play. Musicalized as MAME. Technirama. (out of 5 stars) i loved this movie !! I think everyone needs to see it!